There are currently 10,000 people on the waiting list for social housing in our Borough. There are thousands more trying to get a foothold onto the property ladder. In fact the latest figures show that on average, someone currently in their 20s aspiring to purchase a home will be in their 50s before they achieve their goal. There is therefore little doubt that we are seeing the beginnings of a housing crisis that could last a generation if councils, the London Mayor and the government fails to act. So what is H&F Council doing to improve this? 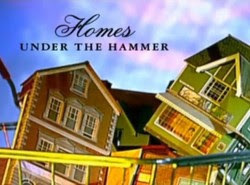 The simple answer is they're doing nothing whatsoever and if you take a look at this episode of the BBC’s Homes Under The Hammer (13.54 minutes in) then it is easy to add this to all the things they are doing to make it much worse. The presenter tells how a council flat in Coningham Road, Shepherds Bush is being sold at auction by Hammersmith and Fulham Council but advises “However, there is one small technical hitch… a legal clause imposed by the vendor, in this case the local Council, meant that this flat could only be sold to someone who was not intending to use it as their main residence. So basically they had to be an investor who bought this to either do up to let or to sell on.” The Council can get more money this way but the fact is this home would previously have been allocated to people in need of social housing. Since coming to power in 2006, H&F’s Conservative Administration hasn’t granted planning permission for a single affordable social home to rent, they have cut all sales of genuinely affordable homes to buy and are hoping to demolish a third of all of the Borough’s current Council homes. There is little doubt that H&F Conservatives' housing policies are more for the benefit of their large corporate property speculator friends than local residents but it's now also hard to see how they are even on the right side of their own legal advice. You can read more about this on the Shepherds Bush Blog by clicking here. With the ever increasing gap between supply and demand in the affordable housing sector, local councils should be doing all they can to improve access and development rather than selling off the small supply that they have on offer.